Born October 25, 1935 in Pocatello, ID, passed away January 29, 2015, in Mesa, AZ. Hoyt, son of J. Bryan and Arilla Blackhurst and brother of B. Kent and Dennis P. Blackhurst, who preceded him in death, is survived by his beloved wife of 57 years, Kathy, children Holly, Suzy, (Scott) Perkinson, Bruce (Misti), Betsy (Scot) Rigby, Dennis (Thelissa); 24 grandchildren, 5 great-grandchildren and sister-in-law Rose Mary Blackhurst. A graduate of Brigham Young University and the University of Utah School of Law, Hoyt worked in the insurance industry, retiring from the legal department of Scottsdale Insurance Company in 2000. An active member of the Church of Jesus Christ of Latter-day Saints, he served in many capacities and he and Kathy served a full-time mission at church headquarters in Salt Lake City. He loved his church, his family, golf, sports, movies and books. He was a devoted husband, father and grandfather and will be greatly missed. 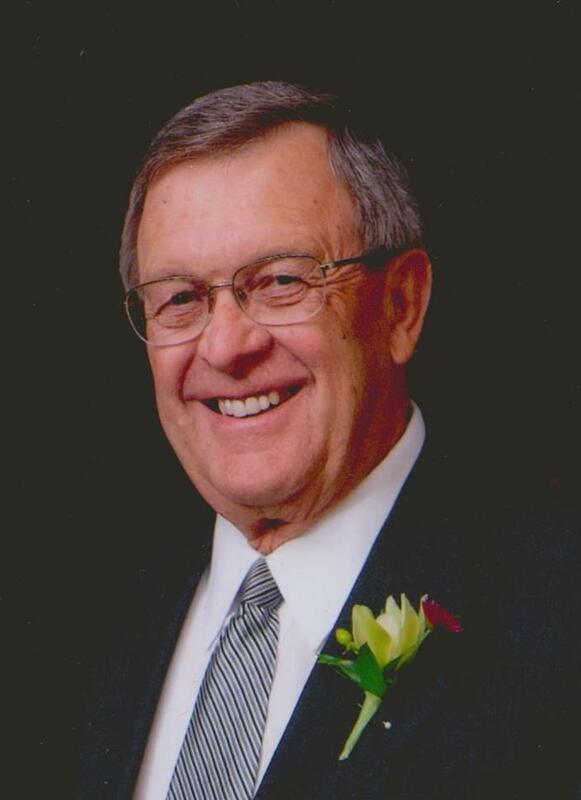 Visitation will be Thurs., February 5, 2015 from 6:00-8:00 PM at Bunker’s Garden Chapel, 33 North Centennial Way, Mesa and from 9:00-9:45 AM on Friday, February 6, 2015, prior to funeral services at 10:00 AM at the Mesa East Stake Center, 2228 E. Brown Road, Mesa, AZ. With sympathy at the passing of a gentle great giant. He was loved and respected by many outside his family as well as adored by his near family. He will be missed by those left behind here on earth, but there must be great rejoicing by those whom he has joined. The world is a little sadder without this big cousin. Love to Kathy and family. Oh, how we loved President Hoyt Blackhurst! He was such a gentle giant, soft-spoken, kind, genuine, and one that was respected by everyone that came in contact with him. We will miss him. Deepest condolences to all of the members of his family. i will always cherish the gentle leadership of this great man. What a wonderful life and example President Hoyt Blackhurst gave to everyone! I feel blessed to have been instructed by Hoyt while serving as an Elders Quorum President and later as a member of the High Council. He lived true to the faith and honored his covenants. Well done thou good and faithful servant. Condolences to all Hoyt’s loved ones. What a great man. My thoughts are with the Blackhurst family during this time. I am sad to hear. I will always remember his genuine smile.